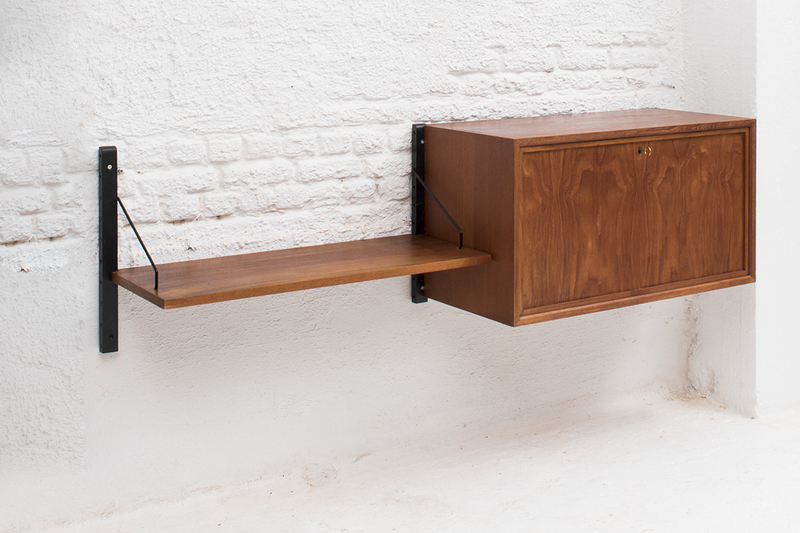 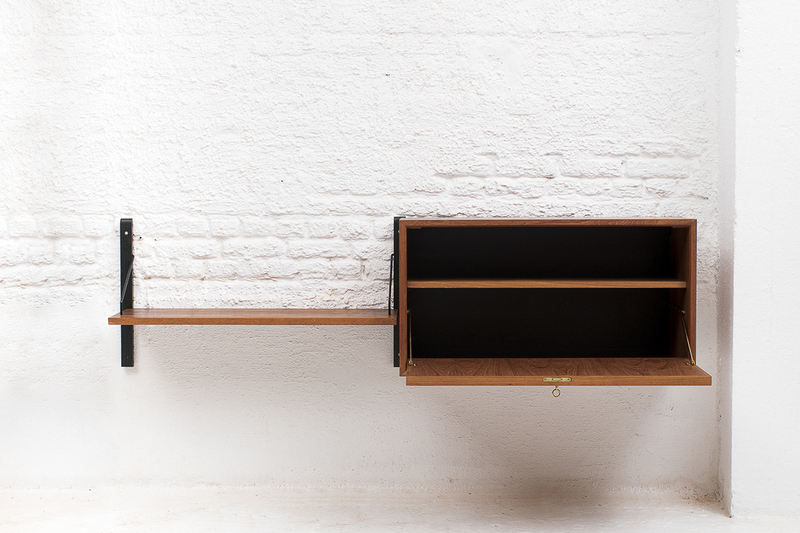 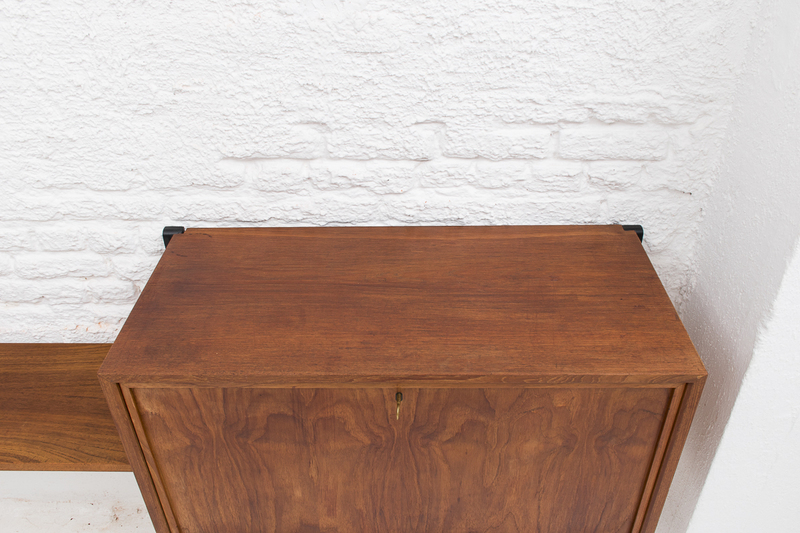 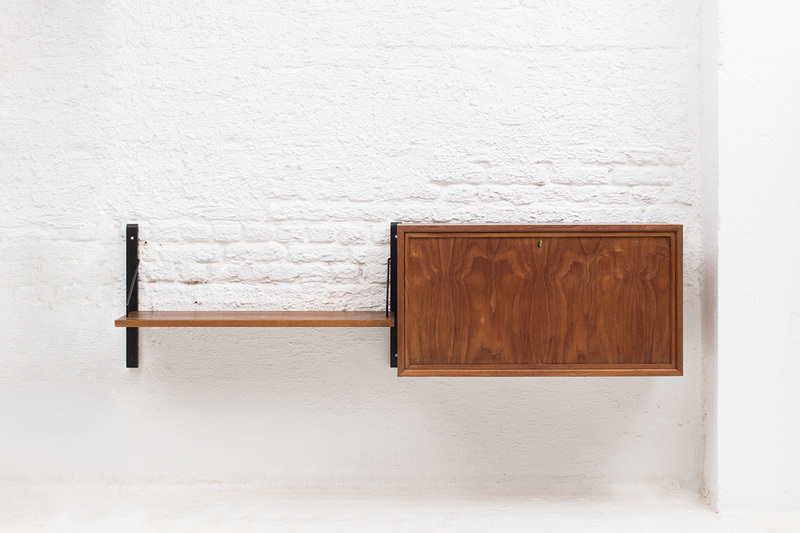 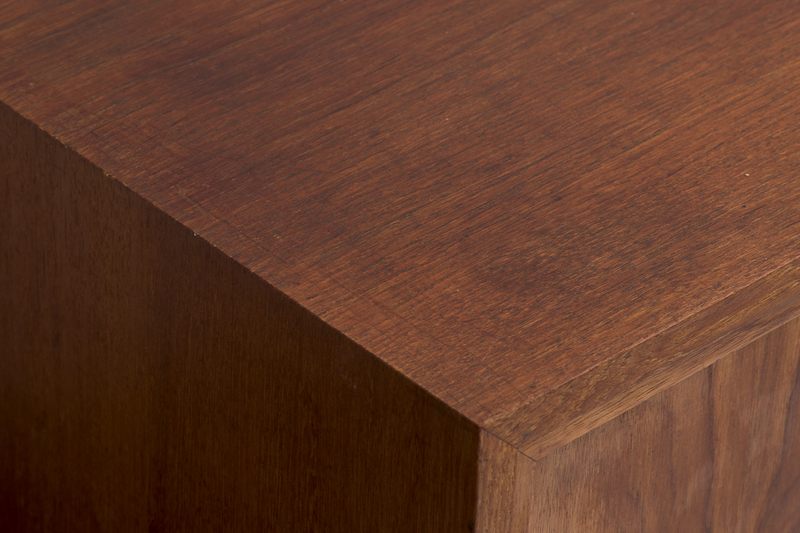 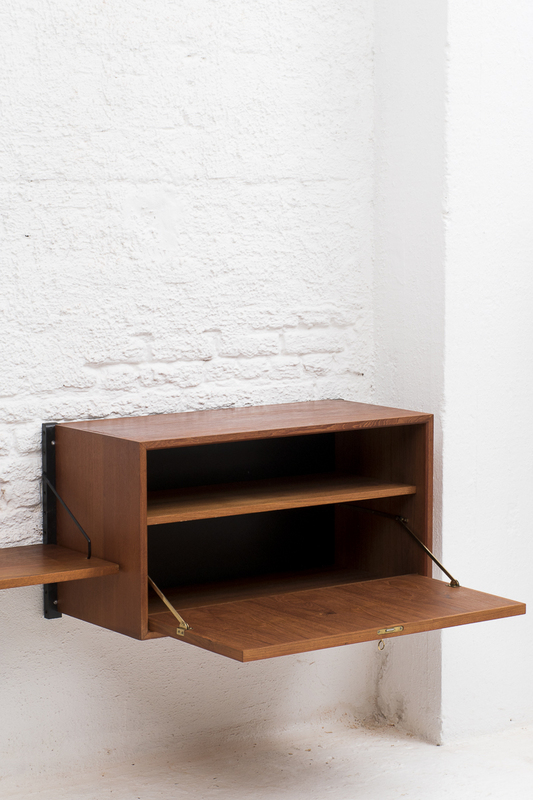 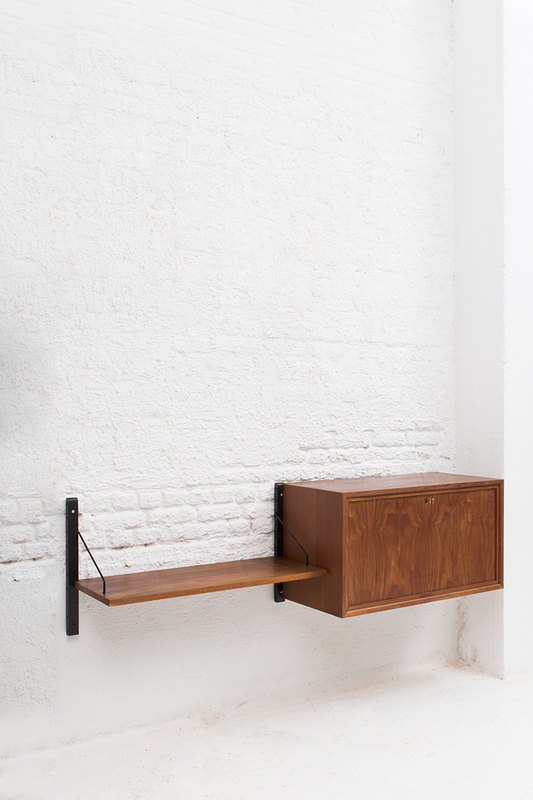 2-piece wall unit designed by Poul Cadovius and produced by Cadovius in Denmark around 1960. 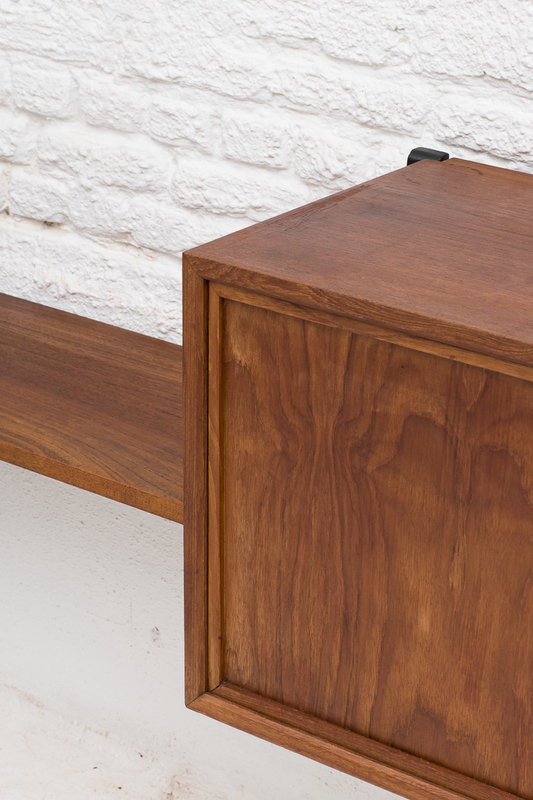 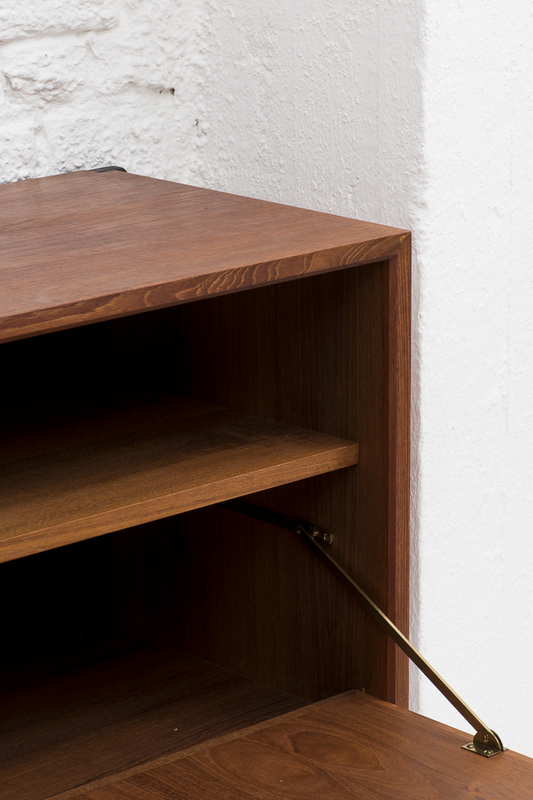 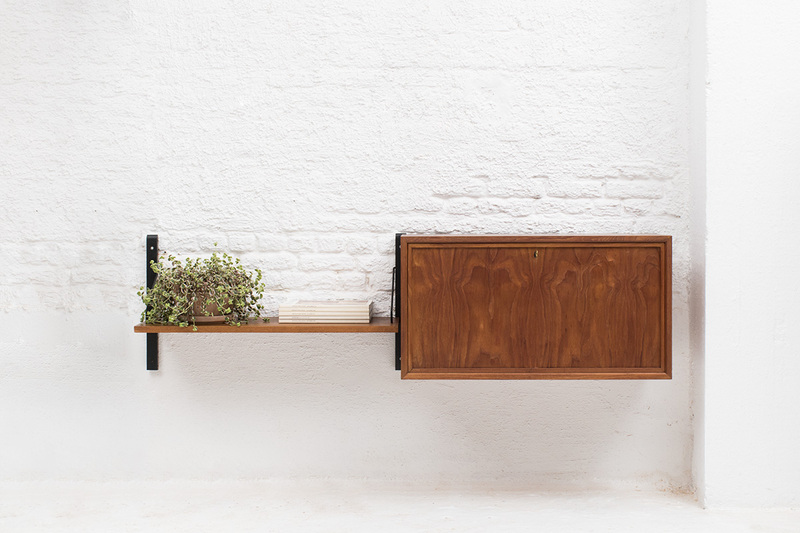 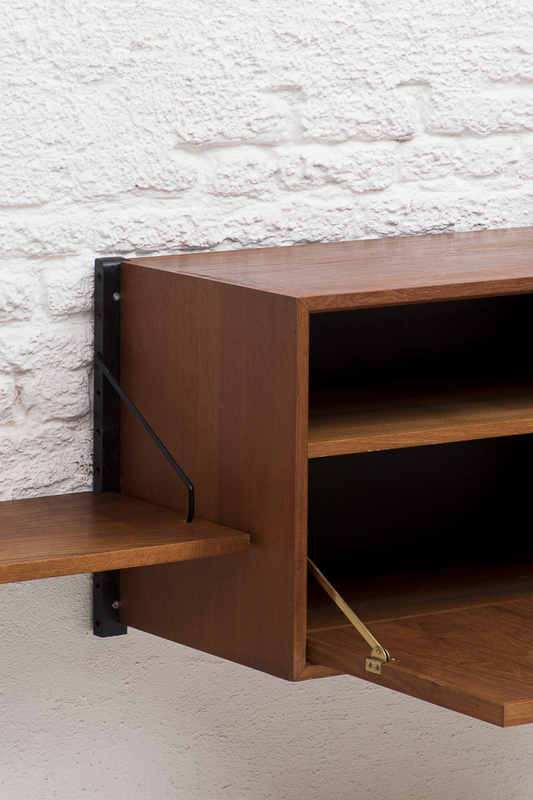 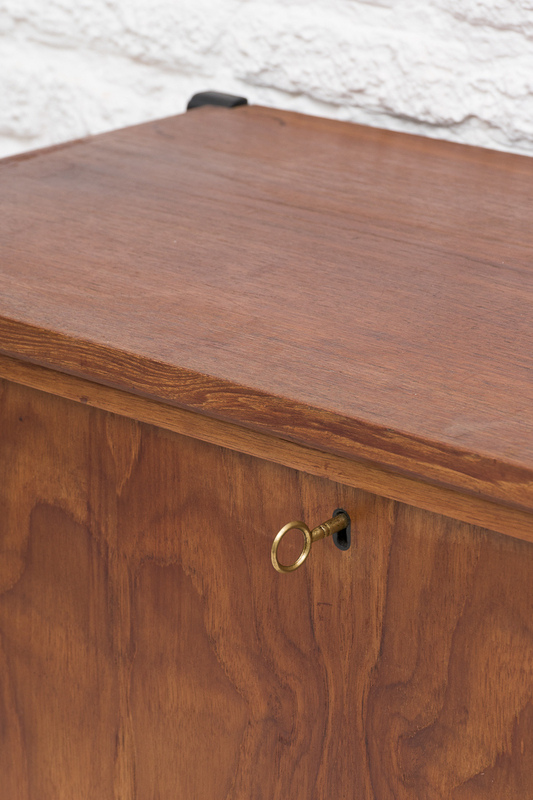 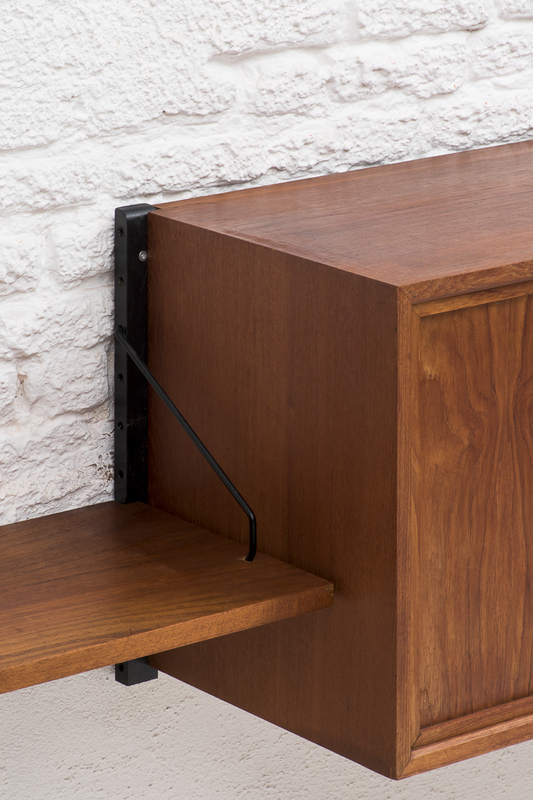 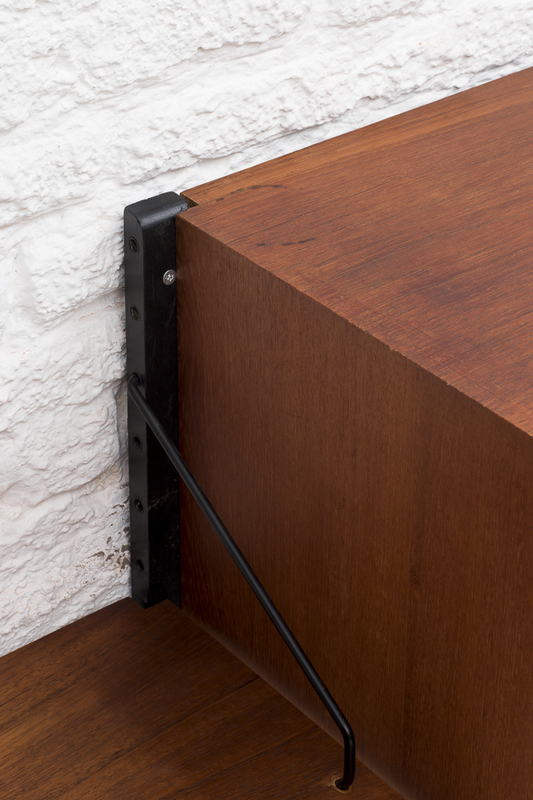 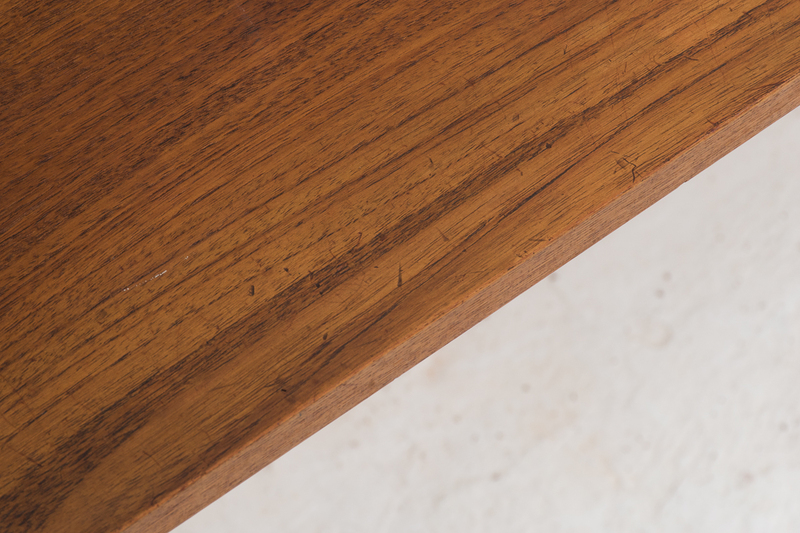 2 short wall brackets in black lacquered wood support a floating cabinet and 30 cm deep teak shelf with supports in blackcoated steel. 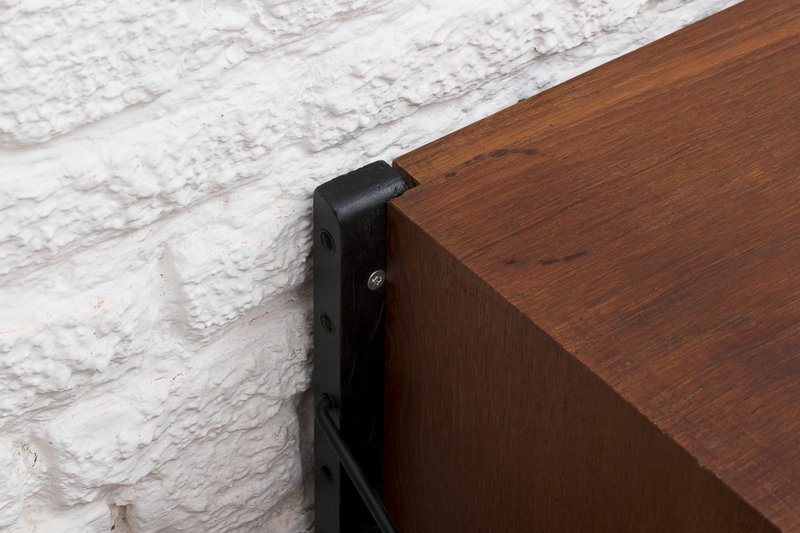 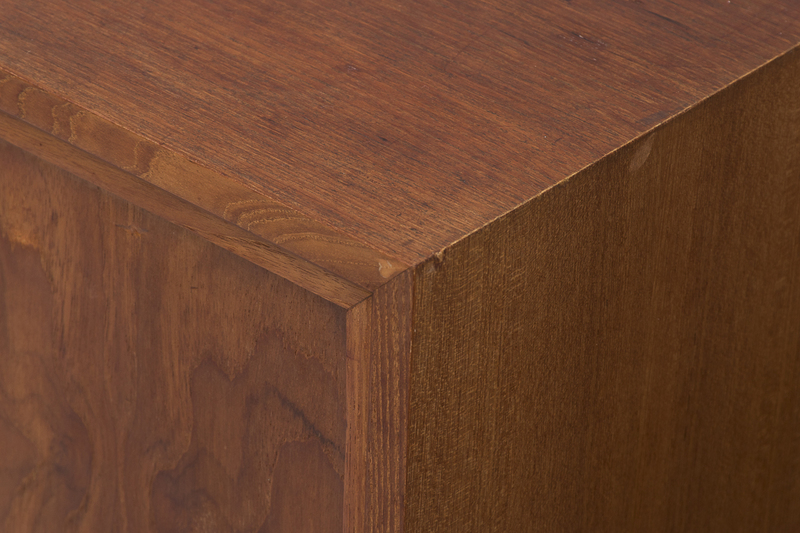 Modular, so the elements can be arranged as desired.